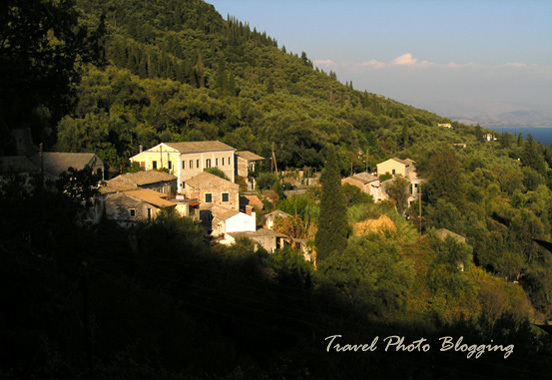 Travel Photo Blogging: How to find a typical old village on Corfu? No matter where I go, I always enjoy visiting typical local villages. That is easily achieved in some countries and can be quite a challenge in others. 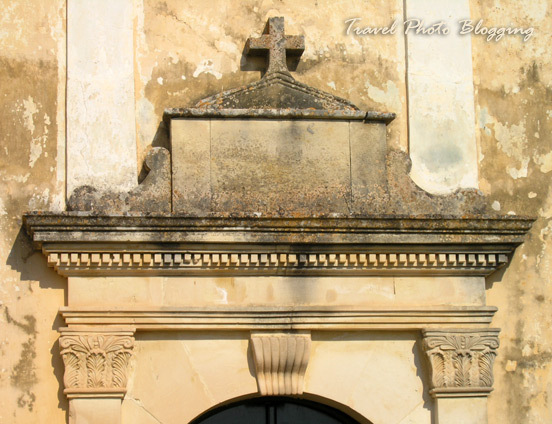 Since Greece is a country where you can literary stumble upon history on every step you take, I was expecting to find numerous nicely preserved, traditional old villages also on the island of Corfu. I was surprised to find every coastal town and village turned into a place suitable only for mass tourism. Unfortunately this means those places were robbed of any charm long time ago. This new architecture has little or no regard for the old beauty and historical value of the area. It seems like the only two aims were to build fast and to build cheap. The only exception among coastal town I saw, was the protected centre of Corfu city (Kerkyra). Even though I didn't like this fact one bit, I didn't give up. Soon I figured out all I needed to do was stop concentrating on coastal towns and look inland instead. I didn't need to look far, since the nearest such town was just a short ride from the town of Ipsos into the hills. 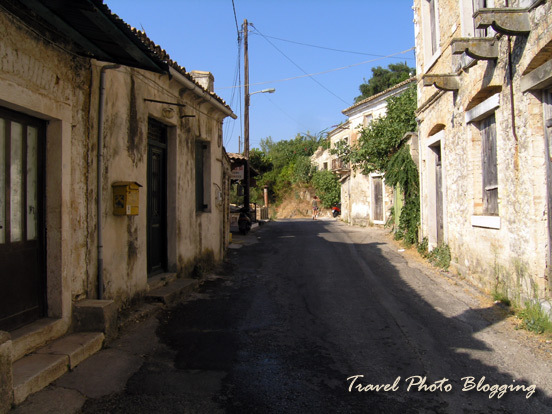 This old town is called Agios Markos. Actually it is a small mountain village of some 30 buildings - one of them being a small church with a separate bell tower. However charming the village might look, quite a few of the buildings have been deserted a while ago and are already falling apart. So if you are looking for an old picturesque village on the island of Corfu - take a random mountain road and your chances for finding one are quite good. I guess roads ending in the middle of nowhere, near a small mountain village are the best choice. I love your photos, especially the second one. I also like seeking out villages and found the exact same thing on Spain. We had to escape the tacky coastal areas to find a beautiful village inland. Seeing these quaint villages make the vacation. Unfortunately finding an unspoiled old fishing village in Europe is next to impossible. Suggestions anyone? That's a lovely village, I liked the first natural scenery pic. There has to be somewhere, perhaps somewhere you reach by a road trip? Although thinking about it, I guess the whole coastline along the Mediterranean must be getting touristy. Come explore Britain's coastlines! Or Norway. They have awesome unspoiled stretches of coastline. You might be right! Recently I saw a bunch of beautiful photos from a kayak trip in Sweden - http://www.mphoto.si/stockholm-archipelago-s-kajakom/. It is in Slovene but it shouldn't bother you, cause it's mostly photos. Otherwise you can always use Google Translate. I guess the only candidate along European parts of the Mediterranean is Albania. However I haven't been there so far, so I can only guess. Quirky way to explore this lovely island Marko. It's getting increasingly difficult to find these delightful out-of-the way villages in southern Europe, tho still plenty in Eastern Europe. Have you been to Turkey? Lots there.